Hey, folks, welcome to our third installment of "Using various manufacturers' content transfer tools to switch to a new smartphone". What we are doing here is testing the ease of use and functionality of apps, made to help new users copy over all their valuable data from their old handset, to their brand new smartphone. We've already tested how HTC's Transfer Tool and Samsung's Smart Switch deal with the task, so this time around – let's check out the Xperia Transfer. Now, once in the Android transfer menu, we are presented with yet another unique way to ensure that you are sending all your sensitive data to the handset that you are holding in your other hand, rather somewhere else – while HTC used a confirmable PIN code, in order to establish a trusted connection between the two phones, and Sammy's Smart Switch used a weird audio signal, in order to make two Android phones "talk" to each other, Xperia deals with this in an elegant and modernistic manner – via NFC. Of course, there is the PIN option, for those phones that lack NFC, but since in this series we are looking at the fastest, easiest, most interesting ways to use the transfer apps – this demo will show the NFC path. After the Android slideshow, stay tuned for the iOS to Xperia guide, as there was a surprise waiting for us in that operation as well – instead of using USB to PC connection, Xperia Transfer was able to pull out all the data from our iPhone with a simple phone-to-phone USB connection. Nice job, Sony. 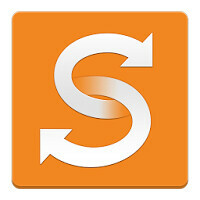 You can grab the Xperia Transfer app here. Pretty straightforward with no hiccups – just as expected. What we found really interesting, though, is that the Xperia Transfer app told us that it only needs a USB connection between the Xperia and an iPhone in order to pull the same type of data out of the iOS device. 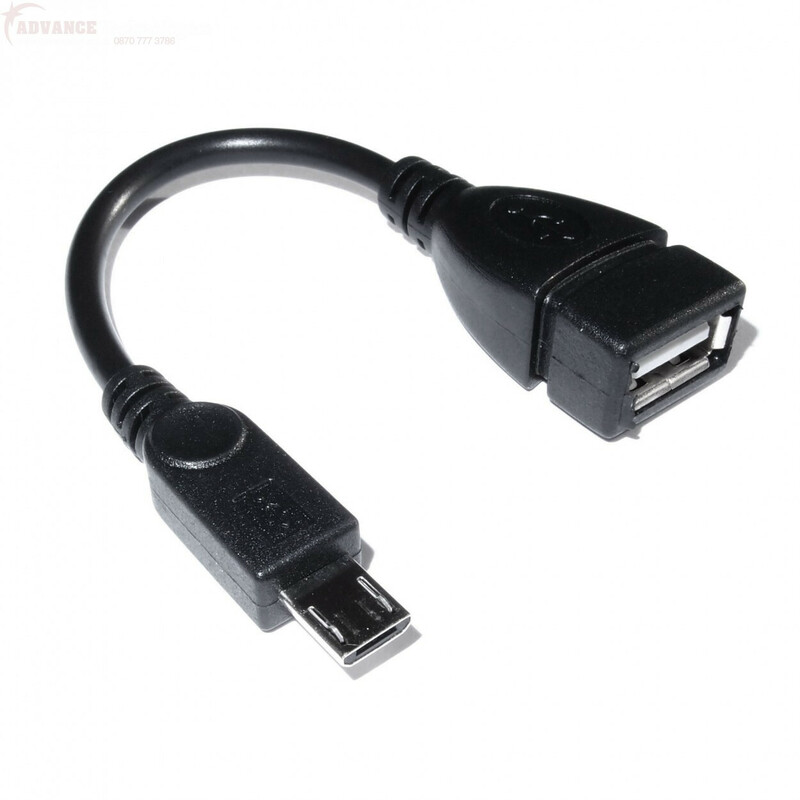 For this connection, you are going to need the Xperia Transfer cable or just a generic USB OTG cable (pictured on the right) – the latter goes into your Xperia's charging port while its other end connects to the charger-side of your iPhone's Lightning cable (or 30-pin, if you've got an older Apple device). What happens next is surprisingly simple and straightforward – check out the slideshow below. [OFF TOPIC] Happy New Year, PhoneArena and audiences. We're not audiences, we're fellow readers. But anyways, Happy New Year! If you know any Sony executives, you can ask them how easy it is to switch from an Xperia smartphone to a BlackBerry, too. 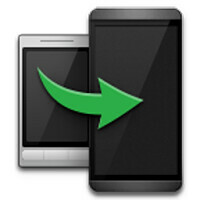 Why would anyone switch from Xperia to junk? They're both junks. Xperia is just a better looking junk. Sony mobile display is the worst I've seen. I wouldn't call their displays the best (that title goes to the note 4), but they most certainly aren't junk. It's actually a very nice looking display that's clear and bright. It's only problem is it has a bluish hue. This can be resolved though since they actually give you an option to adjust the white balance. I can deal with the bluish hue but the touch panel electronic patterns are visible. Those touch panel grids reflect light from my desk lamp is really irritating. Take a look at the Z3C display and you'll know what I'm talking about. The display sharpness is terrible compares to LG E970 and iPhone 4 which all have the same PPI. DeltaE is way off so it doesn't matter much with adjusting the White Balance in the phone. 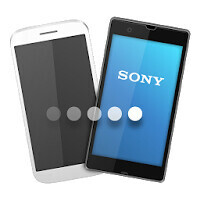 Other major companies have been using IPS and AMOLED 5 years ago but Sony used IPS on their flagships just recently. All Xperia came out 2013 and prior used cheap crappy low tech TFTs. Now others had moved on to Super AMOLED and IPS+ 3 years ago but this donkey company just implemented IPS and they can't even get it right. That tells a lot about a company. I hope these Sony crooks see their end soon. I forgot to tell you the display on my old iPhone 4 I used to compare with the Z3C is an aftermarket display I bought on eBay for $14. The s**tty Z3C display can't even match with an aftermarket's. Maybe it's certainly not junk but it is certainly a piece of s**t.
He was referring to the reports that Sony had to dig out old blackberrys to be able to function while they were being hacked. I used the ios-xperia transfer when I got our Z3's, worked fine on my 5s to z3 other than apps(it just gives suggestions and some links to the playstore) but my gf's 5s had all kinds of trouble and took forever to transfer but I think it was because of the 8gb of pictures and videos she had that I told her to delete. An xperia utility to switch back is nice in case I factory reset my old phone. F Sony and their crappy displays. Neat, reminds me of other devices like samsung smartswitch and Nokia's Transfer My Data (which i have used so many times especially for flip phones).